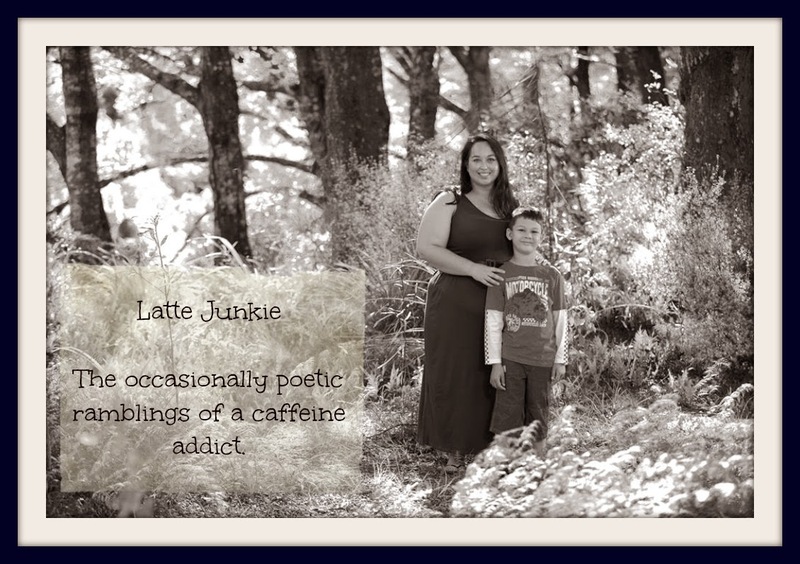 Latte Junkie: My First Review: Huggies Pull-ups! 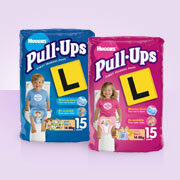 My First Review: Huggies Pull-ups! They actually asked me about six months after Monkey toilet trained (in a week) but as I used their Pull-ups when training him I thought I may as well review them and gave my trial pack to some friends to use when they need to. We used them as we felt they were the best way to transition from nappies to undies without too many accidents and stress. We liked that they had the "feel-wet" liner and that they opened on the sides to make changing easier. They are absorbent enough to make it through the night AND handled a hectic number 2 blowout, which is what you want from a nappy (of any kind)! Monkey liked being able to take them off on his own. Having him be able to do it himself made for easier training, in my opinion. As they are thinner than normal nappies, they made his shorts and jeans fit better and made them easier to pull down before going wees. The Pull-ups have fun designs which make some children more inclined to use them. The designs also fade when they get wet which encourages children to use the loo or potty. This was the one thing that I didn't quite understand as I didn't quite see the point but I am guessing that for some children it will be the key to learning bladder control. They also offer trial packs of all their nappy types. Which is a great way to get a feel for what they are like. I did that with all of Monkey's nappies - got the trial packs and stuck with the ones that made it through the night! Freebie: Give them a go and see for yourself! They come with a kit for toilet training - stickers, sticker chart, FAQ and other useful information. Disclaimer: I was not paid by Huggies, although I received free trial products. I would not review something that I didn't use or recommend to my real life friends. This review is my personal opinion on the product. I used them with both my girls and found them great for providing more independence and toilet training without nasty accidents :) great review!